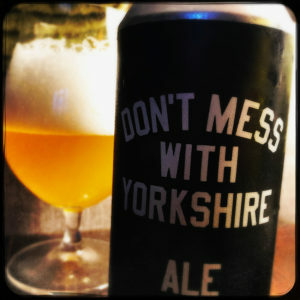 Brewed for the Don’t Mess With Yorkshire brand, this is a very nice little Pale Ale, but it has very little to do with Yorkshire other than being brewed there. I suppose that when I saw the can I expected something traditional like a beautifully made Best Bitter, and so I was a little thrown by the hit of modern lemon sherbet and orange marmalade hops, not to mention the soft and subtle honey and caramel wafer of the malting. There’s no digestive biscuits, no sticky toffee and hints of liquorice here, everything is clean and crisp and undeniably modern. 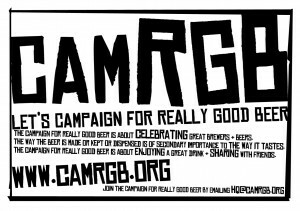 And that’s fine, except that the beer is brewed for a company that began as a single t-shirt and grew into a celebration of all things Yorkshire. Don’t get me wrong, this is a very good, very drinkable little Pale Ale, I’m just surprised at how new world it is, how international, how modern it is, rather than highlighting the ingredients local to the county it’s celebrating.